This 3 hour tour is perfect for those who wish to visit the Vatican as part of a friendly small group, away from the daily massive crowds. You will enter at 8:00am, one hour before the general opening. Early entrance to discover the Vatican Museums one hour before the general opening. You will meet our team at 7:30 and in few minutes be ready in the priority entrance and while the guide is introducing the Sistine Chapel since inside the Chapel talking is not permitted due to the Holiness of the place. You will enter the Museums at 8:00am , one hour prior the general public, you will tour in a Small Group, with personal headsets provided for the whole tour. Our guide will take you to explore the famous galleries of the Vatican Museum which preserve countless artworks. Enjoy the privilege of entering the Vatican Museums hour before the general public for a more relaxed visit of the hidden treasure. 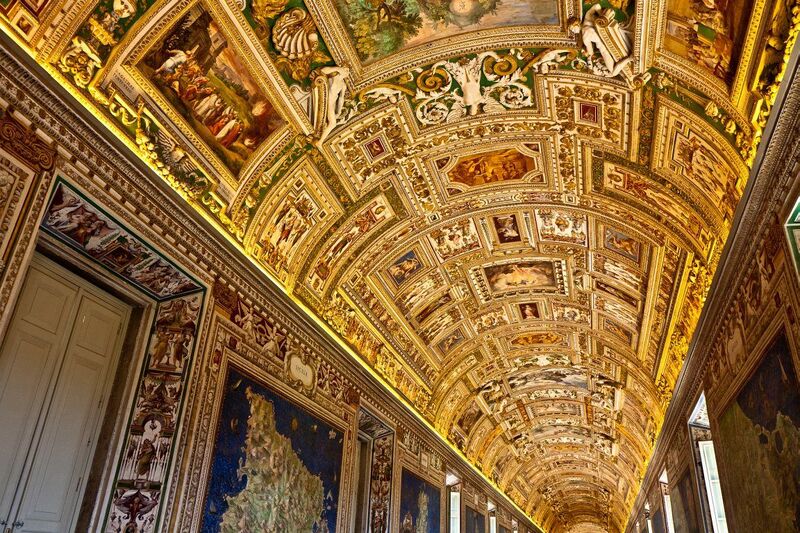 The Vatican Museums hosts several galleries, such as the Tapestries and the Maps, the longest of all. This gallery was built after the request by Pope Gregory XIII also known as the “Pope” of the Gregorian Calendar. Here you will see wonderful maps like in a puzzle represent Italy and the region related with the church, the ceiling is very impressive. Our guide will also show you the Raphael’s Rooms renowned for their frescos, a great example of Renaissance painting, Raphael was painting the School of Athens while Michelangelo was painting the Ceiling inside the Sistine Chapel. The best of the tour is yet to come. Wait to reach the Sistine Chapel to look at Michelangelo’s masterpiece, once inside you will remain speechless. Our expert guide will explain to you everything there is to know about this holy place, before you enter as no speaking is allowed inside the chapel. The Sistine Chapel was originally defined “Cappella Magna”, the “big Chapel”. Since the 15th century, this place was used both for religious purposes and papal activity. Still today the Papal Conclave is held in the chapel and the Pope on special occasion use the chapel for Holy ceremonies. 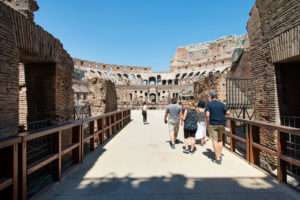 Please bear in mind that few days after Easter and in some days after bank holiday or summer time you might find many people inside the Vatican Museums but you still will avoid the huge massive daily crowd. With this tour you will have the chance to take some special pictures to bring back home and make a special memory of your holiday, please remember that inside the Sistine Chapel is not permitted to take pictures. The average participants are about 18 people but it can be up to 22 people maximum. From the sistine Chapel you will take a special exit to access without standing in line into St. Peter Basilica where you will have the chance to admire Michelangelo’s Pietà, many other precious artworks such as Bernini’s Baldachin, and you will also notice many tombs of Popes inside the upper church. 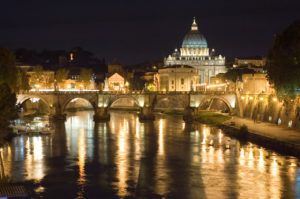 On your free time you can choose to climb the Dome of St. Peter’s or to visit the Vatican Grottoes. Itinerary: Vatican Galleries, Raphael’s Rooms, Borgia Apartment, Sistine Chapel, St Peter’s Basilica, Michelangelo’s’ Pieta, St. Peter’s Square. 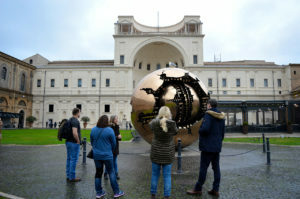 3-hour group tour in English with professional guide, Vatican skip the line ticket and headsets for the tour. Meeting place : across the Vatican Museums entrance, Viale Vaticano 100 outside Caffè Vaticano. By Metro, (Line A), get off at Ottaviano. Ottaviano metro stop is only 10 minutes walk to the Vatican Museum only entrance and you will meet us right across the street with a sign.